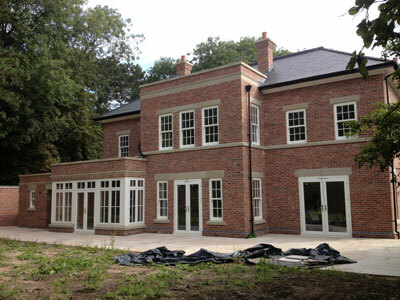 The rear of elevation of this new build property in Derby was fitted with Evolution timber alternative French doors and Evolution timber alternative Storm 2 casement windows. 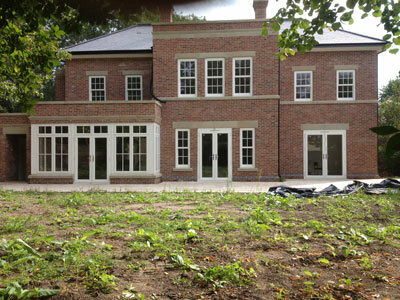 The sash windows were from the Bygone Collection of wood effect upvc sash windows. All UPVC wood effect windows are ’A’ rated for energy efficiency as standard.